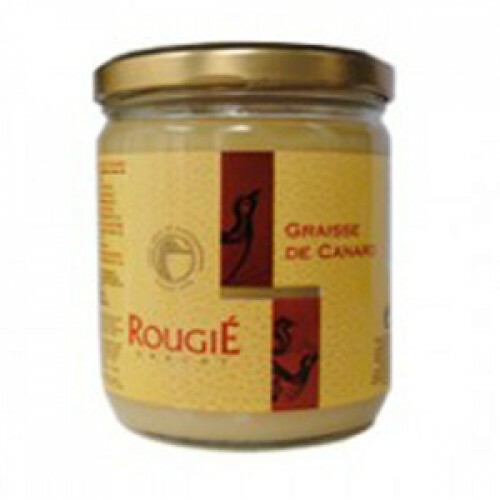 Rougie Sarlat started in 1875 with the opening in Cahors of a workshop which rapidly became the Mecca of all the galloping gourmets of the region. On the strength of its increasingly wide reputation, the firm led by Léonce Rougié and subsequently by his son, Jean Rougié, gained a truly international stature in the 1950’s. Bring to the boil and cook for about 5 to 7 minutes then drain in a colander and leave to steam dry for 2-3 minutes. Return the potatoes to the pot, add a tablespoon of Semolina and give the potatoes and semolina a good shake together to rough cost the surface of the potatoes and coat them in Semolina – this will help make your roast potatoes super crispy when roasted in Duck or Goose fat later. Put your chosen Duck or Goose fat - my favourites are by Rougie - into the hot roasting tin and heat it in the oven for a few mins, so it’s piping hot.